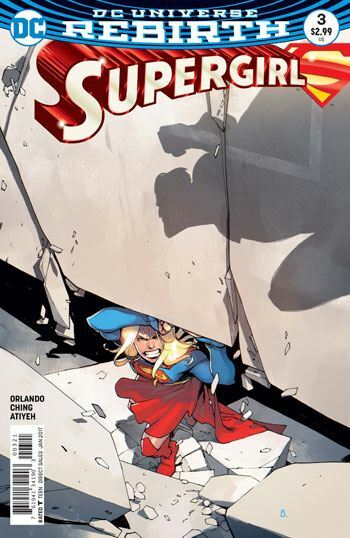 Orlando and Ching continue with Supergirl’s strange reunion with her father in the latest issue of her book. Zor-El has become the new Cyborg Superman, but tries to convince his daughter that his actions are rational, and in her best interest. It’s a really different take on the Cyborg Superman. Zor-El does not have the world destroying mania of Hank Henshaw, but on the other hand, his relationship with Supergirl makes him a far more personal foe. In the previous issue, Zor-El shared his memories with Kara, convincing her that he really was her father. In this issue, she takes him up on his invitation to return to Argo City, the place of her birth. 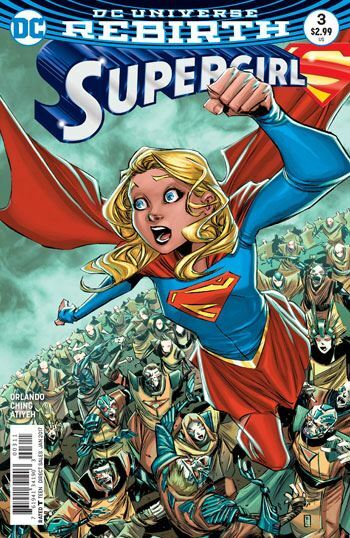 Supergirl believed that everyone left in Argo City after she was sent away had died. And she’s not right, although she is also not wrong. The Cyborg Superman has mechanically rebuilt all the former citizens, including his dead wife, Supergirl’s mother. Supergirl is not exactly thrilled at this development. There are a couple of brief scenes for Cat Grant and Cameron Chase. Both quite effective, despite their brevity. And the art remains very strong throughout the book. The big battle between Supergirl and her father has plenty of action, but is also really sad, with the failure of good intentions to equal benevolent actions.